Join our community of more than 100 million Fun Run players from all around the world in one of the best realtime online multiplayer games! Get ready for running games with even more action-packed craziness than before – enter to win big against your furry opponents! Fun Run is Back! We are back with the third chapter in the Fun Run saga – FUN RUN 3: ARENA – with more of the mischief and mayhem that you loved in Fun Run and Fun Run 2. Ridiculously Funny Running Game Fun Run 3: Arena takes the legendary gameplay of classic running race games and adds a new dimension of cool! 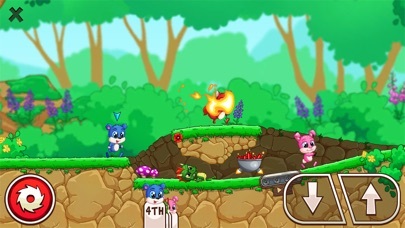 Race against other real players while escaping obstacles. Sabotage your rival runners’ progress to WIN the race in this fun game to play online. No holding back! Slash, crush, and destroy your opponents to the finish line! Arena Gameplay Arena is the where eight furries fight against elimination! Only the fastest 3 reach the finish line for amazing rewards and ultimate glory. Be the victorious in this addicting game mode and fulfill your destiny as the one and only ARENA CHAMPION. Form a Clan & Run with Friends Run with your clan buddies! Participate in multiplayer games online with friends or total strangers. Find friends online to show them how it’s done! 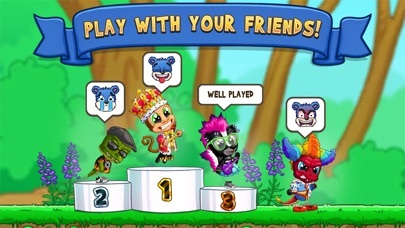 Fun Run 3 is all about playing awesome games with friends – and beating them to the finish line! 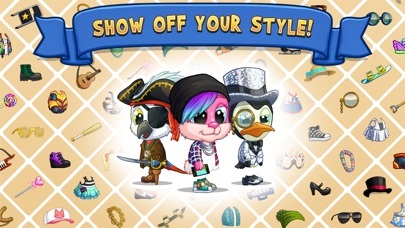 Show off your style and be the coolest critter in the forest! We packed this Fun Run game with hilarious fashionable accessories! Choose from different furry friends and dress them up with cool hats, boots, sunglasses and even more swag to show off your funny games style! Cool & Fun Features - Clan Battles in a 2v2 mode! 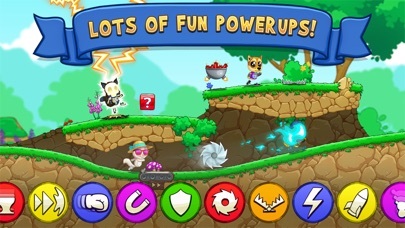 - 30+ new power-ups! - Arena - the new 8 player racing game mode! - Race against friends or random players in real-time! - Slam & Slide: two new actions to leave the opposition in the dust! - Customize your avatar with more options than ever! 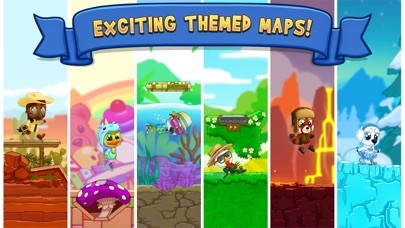 - Conquer lots of new levels! - Climb the leaderboards and challenge the best players in the world! 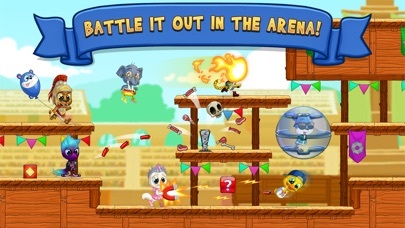 Fun Run 3: Arena is a free online multiplayer game – an internet connection is required. The Arena awaits! 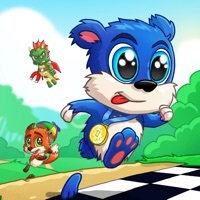 Download Fun Run 3: Arena now and start running! Ready, Set, GO! GET RID OF THAT STUPID MAGNET!!!!!!!!!!!!!!!!!!!!!!!!!!!!!!!!!!!!!!!!!!!!!!!!!!!!!!!!!!!!!!!!!!!!!!!!!!!!!!!!!!!!!!!!!! I would give it a 5 stars if it was good. This is a fun game but when you win a game and when random people start adding you they will become your friend then when you get to know them they ask you stocker questions.Example:Where do you live? Is your skin colored? My opinion is for the developers of this game should just not have your friends text each other or just band a few words when texting that friend. Then other than the drama in this game it’s fun and entertaining when bored!. Took forever to give my old account back i still don’t have it. Fun Run might be the best speed race in store. i’ve been playing fun run since the first one came out and i really like the first one. i got a new phone and it deleted it from my phone and when i tried to re-download it it wasn’t there. also i never played the second one but i saw that that one was gone too. so why do you guys keep deleting the old ones from the app store? Items such as the animals, skins, & clothing are extremely EXPENSIVE. The animals go for 20,000 and I only get like 200 when I win a race. Please lower the prices, it would make the game much more enjoyable to be able to easily customize our characters. You must watch ads but after the ad you can’t hit the x to close it. So you have to quit the game completely out and then don’t get any of the coins or rewards for it. I like this game, and I have played for awhile now. However, I’ve notice lately that when I cross the finish line for a regular game, my place won’t be accurate. If my place says 2nd when I cross, I should be be fourth when the results get in when characters are behind me. This has happened twice already. It ruins my stats. This game is fun but not in arena. Whenever I’m about to start the run it keeps me in the same place for 0.7 seconds or more. Then I end up in 8th place after that happens. Please fix this bug. The game is super good! BUT ADS ARE ANNOYING!! This game is fun to play; however, many weirdos think that this is a dating app. Like the title of my review says, I have been playing Fun Run since the first games release. Here are a few of my concerns with Fun Run 3... Coins- other than watching ads and getting the daily bonus, coins are hard to get for casual players. This meaning that it takes people who regularly play a while to actually get things in the store without buying gems. I understand that the target audience is younger and they will buy gems but this game seems as if it’s begging its audience to pay. Arena- I loveeee arena and I have become quite good at it. I am a little confused as to why some times you can get an arena prize and other times you can’t. For instance, I won five times and got a prize but when I won eight times in a row I didn’t get one. I at least expected a basic arena prize but when I didn’t get one I was very disappointed. Arena also drains players coins! Costing 500 coins with the chance of getting an arena prize makes sense, but not when you can get an automatic loss for disconnection. That blew my mind when I found that out the hard way(I disconnected and got a loss) I am dedicated to getting more characters and outfits so I don’t mind putting in the extra time to watch ads but it sometimes it seems like i’m watching more ads than I am playing. Loveee this game, all the new things, specifically swimming, but I think that these things being considered and changed would improve the game!! Thank You!! Prices for stuff is way too high. Like wayyy too high. You don’t even earn coins after a race. I think we should at least be able to earn coins after a race. Such a fun and addictive game! I can’t stop playing! Buuut I do have a few issues especially when it comes to me hitting other players. I was using the saw blade it went through the other players and didn’t do anything. But when it hit me I died. I was very confused but I continued playing anyway till it started to happen over and over. Not just with the small saw either this also goes for the other two options they have (big ripper and the one that sticks to the ground). It’s extremely frustrating knowing that I should be getting first place but end up in 4th because my weapons don’t work. I purchased $20 worth of gems to buy the “battle pass” and the tier skip one or the boost to get passed a lot of tiers, and i never got the Themed boxes that it skipped over when i was going through the tiers. It showed all the stuff i unlocked but i never got the Themed box’s. And i have no way of reporting this except for on here. So please fix and i hope i can get what i paid for. The game is awsome because it SO GOOD IF KNOW THIS owner of the game I will give him 100M dollars. It’s very unfair when u get kicked out of a race for connection issues & they still mark it as a lost. Two words: BULL- CRAP.